Experience: 10 years of AX in the Retail industry. Projects sought: Either full-time or part-time. Long-term. Work from home if possible. Markets: South-Africa (Western Cape). Open to remote opportunities in any other English-speaking countries. Other interests: Logic puzzles, mind puzzles, singing, walking on the beach, hiking, reading, studying. 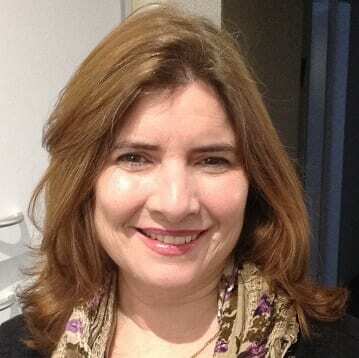 Take a look at Teresa’s profile and CV on 365 Freelance. Sandra from 365 Freelance: Teresa, thanks for taking the time to talk to us. What is your ideal role? Teresa: My ideal role is essentially a big, challenging project in which I am involved from start to finish, including the implementation and the configuration. I feel like I can contribute more when I know what’s going on from the beginning than when I join a project that’s already started. I’ve been mainly focussed on distribution, warehousing, stock-management and stock control, and these are my strengths but I want to expand the range of my skills and expertise. My development background is very strong. I’ve been involved in a number of implementations for warehouses and national distribution centres on various versions of AX since version 3 (Axapta). I have extensive experience of managing the movement of stock in the system, starting off working with small distribution centres. As well as sales and procurement, I’ve worked on all aspects of holding stock and moving stock out, including the financial aspects. My first assignments involved writing code which was implemented in an Axapta 3 replicated environment (some of the enhancements of those early projects were incorporated into later versions of AX). To make the best out of my skills and experience, I’d like to find a project which includes a strong focus on stock-management, stock-control and stock-movements along with financial aspects linked to it. Sandra: You’re a very experienced developer, so what made you chose AX in early 2000? How do you see AX as a development platform? Teresa: Prior to going into AX, I did a lot of work with COBOL on Mainframes, I also did web development for a while, where I gained Java expertise and also built experience with Windows application development. I got into AX thanks to my programming skills: I had an interview with Waltons, who liked my development background and asked me to work with AX. From there, I went straight into AX development. I did the e-academy for the first month so I could learn about AX (which included overall application development). I enjoy Dynamics AX, as it’s got a very big scope. When I first got into it, it was very challenging. I guess one of my strengths is that I’ve experience of working with every version of AX since Axapta 3. Sandra: You worked predominantly for end-users – what are your reasons for that? Teresa: Working for a Partner/consultancy often means working in various environments for various customers over a given period. When I started working with AX, I was looking for a single employer with whom I could focus directly on specific parts of AX in a single implementation and get really good at it, rather than having to split my time between multiple companies. I also wanted a local company, or an international one whose head-office was in South Africa: in my experience, AX development seems usually handled in the head-office (centralised) rather than in a specific region. Having built up such a good level of experience now, I would be keen to work for a Partner in the near future. Sandra: In South Africa, are customers more inclined to consider AX versus NAV or GP? Do you feel that most of the major implementations are subsidiaries of large multinationals or South Africa corporations who have decided to roll it nationally and internationally? Quite a few companies in South Africa are using AX. A few are using either NAV or GP. Many smaller companies tend to choose to only use Dynamics CRM or Dynamics retail (POS/RBO) – a trimmed-down version of Dynamics AX (or NAV) for Retail Back Office (RBO) which also incorporates retail front office Point-of-Sale (POS) and can be implemented without the other main portions of the ERP. Both multinationals and local companies are using AX in South Africa, but there is a tendency for multinationals to handle the development in their countries of origin, which makes it hard to find AX projects locally as a developer. It’s much easier to find support opportunities, but support alone is not my strong suit or preferred focus area. The firms who use AX Developers are mainly big local companies: bigger companies tend to use AX rather than NAV or GP. One of the challenges I’ve been facing in finding my new contracts is that most development opportunities tend to be in Johannesburg, which is a bit far from where I live. Another factor is that few companies are big enough to have their own development teams, so they usually use partners or consultancies rather than hiring consultants directly. Teresa: I think the concept is super: the market needs this kind of service. It gives more exposure to the application environment, to the companies using Dynamics and to other professionals who have experience in that area. It’s a place where Dynamics users can converge – it’s a great idea. Sandra: What parts of the 365 Freelance service do you like in particular? Teresa: The fact that you provide freelancers with access to the Dynamics Learning Platform is fantastic – it’s a great resource. Most generic training websites don’t have any Dynamics courses at all so it is hard to find. Even Dynamics websites tend to be focussed on mobility-related development. It’s great that 365 is providing a route to actual Dynamics training so that we can keep our skills and certifications up to date. Sandra: Thank you, Teresa, for sharing your insights and experience with us! i want to know some information. how the dynamics ax developer job oppurtunities in south africa.